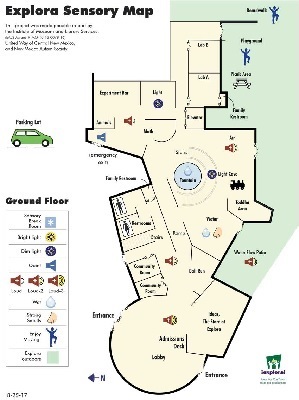 Children with special needs and their families are provided a sensory friendly environment to safely enjoy the museum. Attendance limited to 150 people. Go online to view the sensory map. In partnership with New Mexico Autism Society, Explora is offering sensory-friendly hours. During these sensory-friendly hours, individuals and families can enjoy a less sensory-stimulating visit. For more information about these extra hours call 505-224-8300.